“I think it’s crackers that they are doing the challenge to be honest. 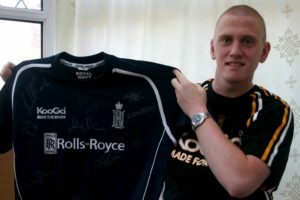 I think they could have done something a bit easier but is nice to know that they still care and that they want to do something because of what happened to me.” These are the words of former Royal Marine and Navy Rugby U23 player Aaron Moon on hearing the news that his former head coach, Lt Cdr “Doc” Cox and Lt Ed Moss-Ward were putting together a team to complete the 24 hour 3 peak challenge of Ben Nevis, Scarfell Pike and Snowdon. Doc Cox is used to doing things that are seemingly crackers. With three tours of Afghanistan already completed he has seen his fair share of the problems that the country has, and is, enduring. However he has also witnessed the great pride, determination and fortitude that runs through Afghan life. 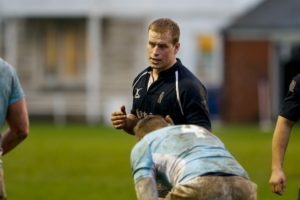 With the support of Navy Rugby and the SRU he helped provide the Afghanistan Rugby Union with kit as well as providing hands on coaching. He, along with the determination of people like Afghan Rugby CEO Asad Ziar, is ensuring that rugby football establishes a stronger foothold throughout the country. 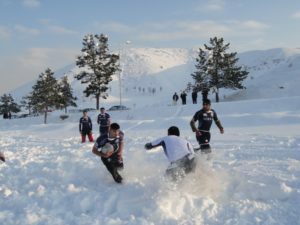 How many games in England, as seen with the match between Kabul and Paghman, would take place in 50cm of snow? The fledgling Afghanistan national side recently played its first ‘test’ series in the UAE where they lost the three match series 2-1 to a vastly more experienced team. 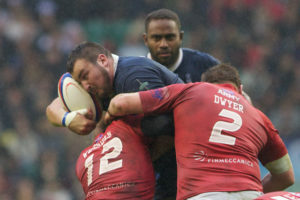 Tom Blackburn, current Navy tight head prop and former playing colleague of Aaron is used to challenges! Doc has been joined by Ed Moss-Ward, another Afghan veteran, who has been “too close for comfort’ to the devastating effect that IED’s can have . Together they have put together a group of Aaron’s former coaches and playing colleagues for the challenge which will take place over the 14th / 15thJuly. 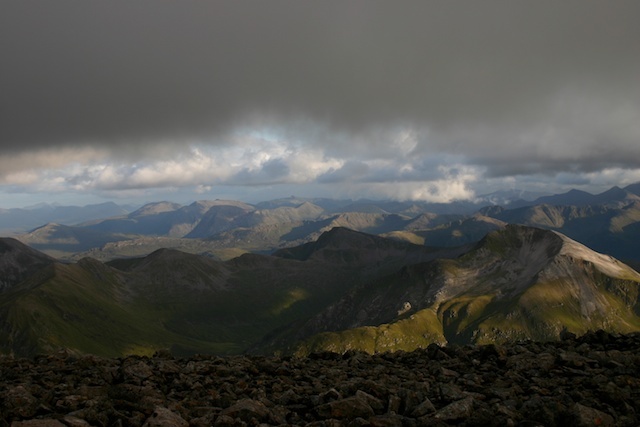 The three highest peaks in Scotland, England and Wales, along with the drive in between, within 24hours is a taxing challenge but the three worthy causes will no doubt help them through when the tiredness and blisters begin to take their toll. At the time of writing Doc and Ed will be joined by three of Aaron’s former playing colleagues in Matt Kitson, Cinders Ellor and Navy prop Tom Blackburn. The team, like so many of the Afghan deployments, is tri-service in nature. Joining the naval contingent will be Phil Kelly from the Royal Air Force and the Army’s Ian Hastings who serves with 2 RIFLES, a unit that has endured more than most in multiple tours of the region. Will Cairns a playing colleague of Aaron another who went on to play Senior rugby will be one of the drivers for the challenge. A fourth former playing colleague is Navy player Will Cairns who along with John White, Team Manager when Aaron played, will be helping out with the logistics and doing the driving. Medical cover will be provided by Mel White who was a trainee physiotherapist with the U23 team at the time. 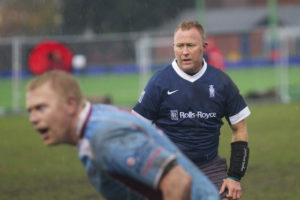 Whilst I, in a moment of weakness, have agreed to take part as I was DoR when Aaron represented Navy Rugby. It is hard to complain about dodgy knees when you hear about Aaron’s tales and also reflect that he is but one of many of our colleagues who have returned to the UK with serious and life effecting injuries. Aaron injuries were, like far too many of his colleagues, horrific. In February 2009 after his first week on operations Aaron had the misfortune of an improvised explosive device detonating directly beneath him. The blast left him with a ruptured spleen and multiple broken and fractured bones including both knee caps, hip, heel, pelvis, back and shoulder. Aaron’s treatment remains ongoing and in the last week of May he will be undertaking further surgery on his leg. However though he knows he will not be fit enough to manage the three peaks he remains determined to join the group on their last climb and celebrate with them at the top of Snowdon…………..
And he thinks Doc is crackers! The scar of the Pyg Track up the eastern flank of Snowdon highlights the challenge that Aaron is taking on. 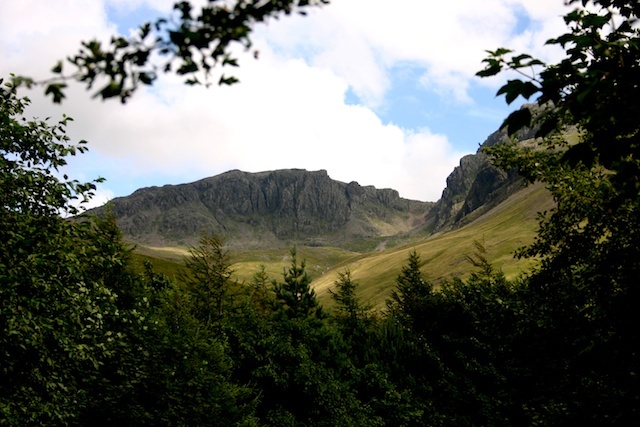 The three peaks challenge takes in Scotland’s highest peak, Ben Nevis (1344m), followed by the highest peak in England, Scafell Pike (978m) and finishes at the highest point in Wales. 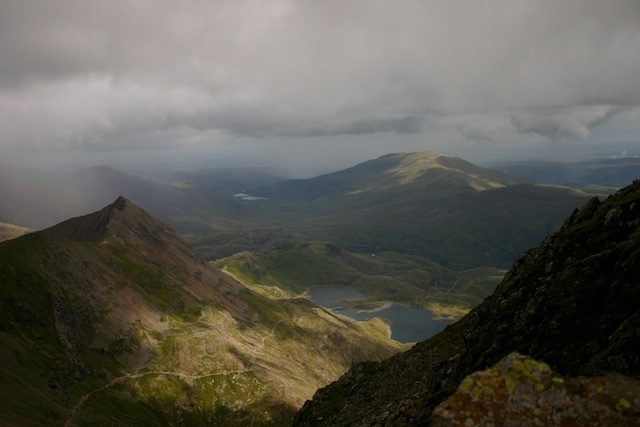 Snowdon (1085m). 1,884 UK military and civilian personnel were admitted to UK Field Hospitals and categorised as Wounded in Action. 3,802 UK military and civilian personnel were admitted to UK Field Hospitals for disease or non-battle injuries. 273 UK personnel were categorised as Very Seriously Injured from all causes excluding disease. 276 UK personnel were categorised as Seriously Injured from all causes excluding disease. 5,631 aeromedical evacuations have taken place for UK military and civilian personnel injured or ill in Afghanistan.